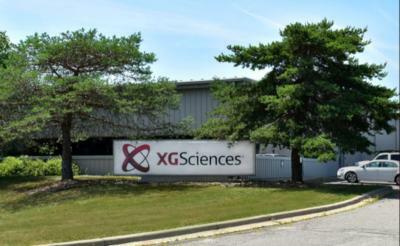 US-based graphene developer XG Sciences recently made headlines with a production expansion announcement - and an exciting deal with Ford to supply it with graphene-enhanced parts for the latest the Mustang and F-150 automobiles. We have reached out to XGS' CEO, Philip Rose, who was kind enough to answer a few questions we had regarding the company's latest materials, plans and business. Q: Hello Philip, thank you for your time. Can you update us about the types of graphene currently in production at XGS? XG Sciences uses two proprietary processes to create a range of xGnP nanoplatelets. 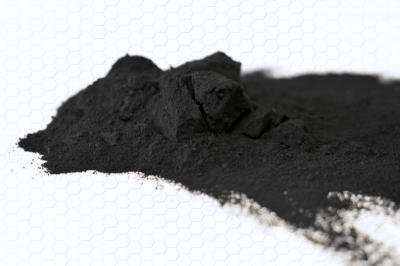 Both processes are in production: i) chemical intercalation of natural graphite followed by thermal exfoliation, and ii) high-shear mechanical exfoliation. Our production processes result in graphene nanoplatelets ranging from few layers to multi-layers and in diameters ranging from less than a micron up to 50-100 microns. Another distinguishing characteristic of xGnP graphene nanoplatelets is their planar morphology. It is the combination of thickness, diameter, planarity, purity and, to some extent, the chemistry along the edges of the platelets that will dictate performance of any graphene nanoplatelet in a range of applications. Because we are able to manipulate these factors over a broad range, we can more effectively meet the needs of diverse end-use markets and specific customer requirements. Q: Can you tell us of any devices or applications that use XGS graphene that is on the market today? We supply xGnP graphene nanoplatelets to Callaway Golf for their Chrome Soft and Chrome Soft X golf balls. The incorporation of XG Sciences’ high-performance graphene nanoplatelets in the outer core of the Chrome Soft balls results in a new class of product that enables increased control, higher driving speeds and greater distance off the tee. We recently presented a paper with Callaway at the IDTechEx Graphene & 2D Materials Conference that provides specific performance advantages resulting from incorporation of our materials. Ford Motor Company recently announced their commercial adoption of XG’s graphene nanoplatelets in polyurethane-based fuel rail covers, pump covers and front engine covers. Using xGnP, Ford achieved a 20 percent improvement in mechanical properties, a 30 percent improvement in heat endurance properties and a 17 percent improvement in noise reduction. Ford’s graphene-enhanced parts are expected to go into production by year-end. xGnP will be first used in the F-150 and Mustang, and eventually, other Ford vehicles. We have also been in production for several quarters for the use of xGnP graphene nanoplatelets in PET water bottles. The incorporation of our material helps to improve the compressive modulus of the bottles, allowing for possible reduction in PET use. xGnP graphene also extends bottle shelf life due to enhanced barrier performance. There are numerous other examples of commercial adoptions of XG Sciences’ graphene nanoplatelets across diverse applications, including but not limited to thermal adhesives used in portable electronics and automotive applications, lead acid batteries (anode slurry additive), resistive heating coatings for use in office automation equipment and vinyl-ester based chopped carbon fiber composites used in water sports equipment. As we continue our path of commercializing graphene nanoplatelets in everyday products, you’ll continue to hear about new applications and innovations from our customers. Q: Can you update us on the status of your initial public offering and current company status? We have undertaken an initial public offering (3,000,000 shares at $8 per share) of our stock and have been marketing and selling shares to the public through a fully effective S-1 Registration Statement on file with the SEC. However, we have chosen to not list our shares on an exchange at this time and they are therefore not traded. We have already undertaken a self-underwritten, initial public offering. As a consequence, we have public reporting requirements. You may find our forms 10Q, 10K and other related disclosures on the SEC’s Edgar website as well as our website. As of November 7 2018, we have raised $18.8 million from our ongoing IPO, including $6.5 MM since our last SEC filing. Although we are currently selling shares of our common stock in our IPO pursuant to the Registration Statement, we have not yet listed the company for trading on any exchanges. In December 2016, we entered into a draw loan note and agreement (the “Dow Facility”) with The Dow Chemical Company (“Dow”) to provide up to $10 million of secured debt financing at an interest rate of 5% per year, drawable at our request under certain conditions. As of September 30, 2018, we had drawn $5 million under the Dow Facility. As a condition of the Dow Facility, Dow required that we raise $10 million of equity capital after October 31, 2016 in order to access the second tranche of $5 million. We have met this requirement. Therefore, the remaining $5 million under the Dow Facility is now available to us. Dow does not currently have equity in XG Sciences. I am unable to comment any further on the nature of our relationship. All of this information is publicly available. Q: In 2016 we had a talk with XGS' Business Development director, and he said he expects to see batteries that use Silicon-Graphene electrodes in the market in 2017. Is this project still on track? Any updated plans for this technology, and other graphene-enhanced battery technologies? Our products are either in commercial use or are qualified for commercial use in various battery applications (eluded to one previously). Our silicon-graphene composite material is not yet commercial and we do not have a specific timeline in which it may become commercial. Q: Where do you see XGS in 3-5 years? We will continue to expand our product offering and ability to serve customers on a global basis. We expect to continue expanding capacity to meet customer demand and will continue to invest in R&D, applications engineering and other areas needed to support customers in multiple-end use markets and geographies. Thank you again Philip, and the best of luck to both you and XGS!